World Water Week – One Billion Hungry: Can We Feed the World? Last week was World Water Week, an annual gathering, starting in 1991, to focus on the globe’s water issues. This year’s event, hosted and organised by the Stockholm International Water Institute (SIWI), had the theme water and energy. One of the main outcomes of the events was a plea to the energy and agricultural industry to reduce waste and improve water use efficiencies ahead of UN climate talks taking place in Lima, Peru in December and in Paris next year. In particular World Water Week focused on the critical role of water in climate change, in human health and in energy and food production – the majority of the world’s freshwater withdrawals going to power and food production, and manufacturing in Brazil, Russia, India, Indonesia, China and South Africa. 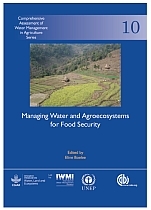 The agricultural sector will be key, therefore, in addressing future water resource scarcities. World Water Week began with industry executives and scientists discussing how to reduce food waste and use water more efficiently in agriculture. And while many companies and individuals are taking up this challenge – the Stockholm Industry Water Award was given to PepsiCo Inc. for reducing water consumption in production and increasing water efficiency, saving almost 16 billion litres of water in 2013 from a 2006 baseline – much more needs to be done. To highlight some of the challenges and solutions to reducing water use in farming we’ve put together some of our favourite videos on water and agriculture. The World Water Week, held August 31 – September 5 in Stockholm, is the leading annual global event for addressing the planet’s water and development issues. Hosted by the Stockholm International Water Institute, the event attracts thousands of participants from over 130 countries. This year’s theme: Water and Energy will address some of the most urgent challenges facing our world. Global demand for energy as well as water is booming. Demand for both is projected to increase by over 50 per cent during the coming decades. This narrated piece describes the week, and this year’s theme, in more detail. This video follows Eric in Uganda to find out how he uses water on his family farm. They need 15 jerry cans of 20 litres each every day for the home, farm animals and vegetable gardens. But it’s a one mile walk to the borehole. 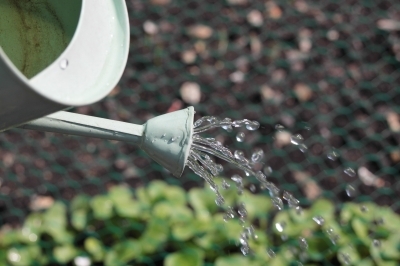 The family does it’s best to harvest rainwater from the roof and save water by composting, mulching and using water saving technologies like a Tip-Tap and water bottle drip irrigation. Water is precious. Using water wisely on farm is essential, believes Benson Njoroge from Kenya. In this film he explains how and why managing water wisely matters. This film, one of eleven, is being used to share good agricultural practice in Africa.